After spending six months in Prof. Dr. Felix Knauf’s laboratory at Charité, Berlin, I am now doing research under the mentorship of Prof. Peter Aronson at Yale University. From my mentors I have heard repeatedly that “the kidney is the most important organ of the human body” and I must admit that after spending the past months expanding my knowledge and listening to experts in the field, I am starting to get the point. 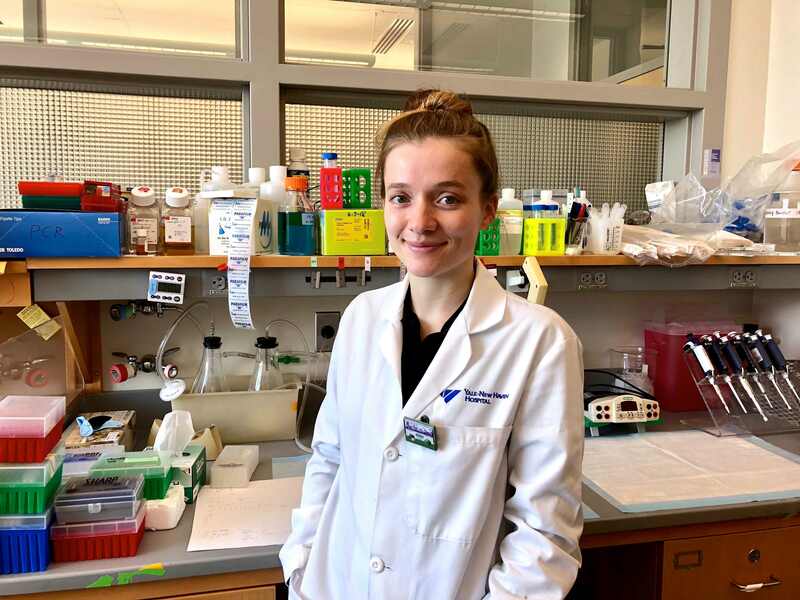 TRENAL has provided me the opportunity to experience the creativity and innovation involved in kidney research, attend interdisciplinary teaching conferences and seminars here at Yale, and enabled me to tackle newly risen questions and challenges. On top of that, the program has given me the chance to build international friendships, experience both life and academics in a new, diverse setting, and shaped the career path I want to pursue. I highly encourage interested students to consider this program. I want to sincerely thank Prof. Dr. Felix Knauf, Prof. Peter Aronson, their excellent working groups, and the DAAD for their support.